FB Cookie Swap! One Less Lonely Glass of Milk – Butter, Baking, and Bacon! 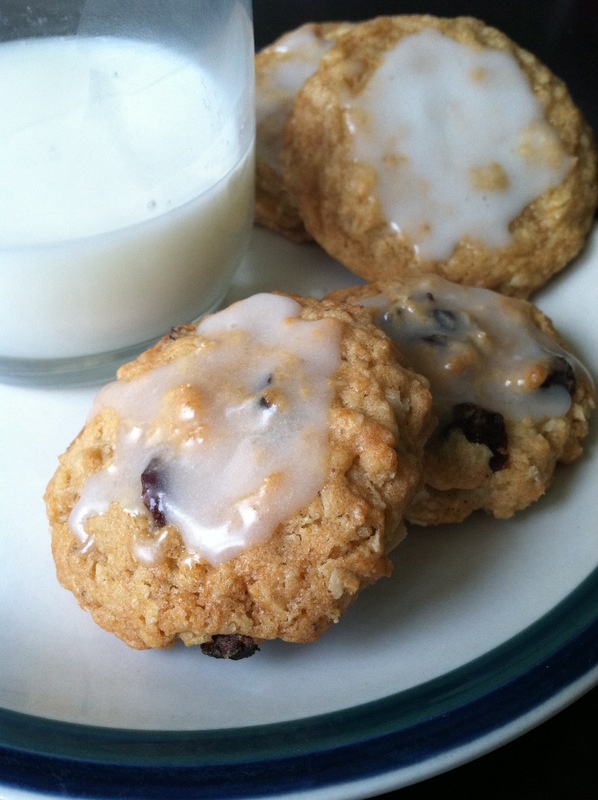 I just had to include these cookies in my boxes for the Food Bloggers Cookie Swap 2013! I am so honored and privileged to be able to participate in the 2013 FB Cookie Swap for Kids Cancer! I can’t wait until next year!! The hubby and I went to Earthfare for our favorite creamery milk–you know, the kind in the glass bottles. Well, I grabbed a creamline version and it was so creamy and lush that I just had to bake a cookie to eat with a glass of it. I mean, why should a perfectly good cold glass of milk go alone without a warm cookie to snuggle up against? So, you concur? Exactly! Let’s get to the cookie! 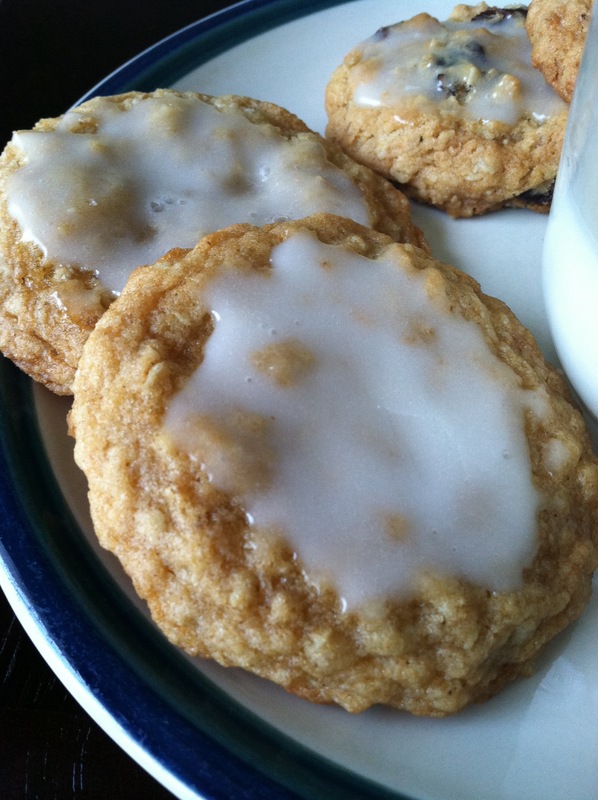 Remember those bags of no name brand crunchy oatmeal cookies with the hard frosting from the grocery stores? Well, these are WAY better!! Don’t believe me? Get to baking and find out! Drop by spoonfuls onto greased cookie sheet. Bake in a 350 degree oven for 14-16 minutes. Remove and cool. To make glaze, whisk together powdered sugar with heavy cream and cinnamon until smooth. Frost each cookie and allow to harden. Previous Post Clean Teeth after the Sweets! Next Post 400 Calorie (and under) Meals for the New You!